Using selected parts of the GE Japan website, students will learn new terms in engineering and business fields and develop an understanding of Japanese industries. 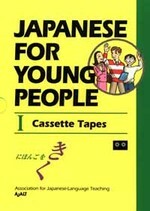 With Japanese in Plain English, you can speak Japanese in no time! Its easy-to-use pronunciation system and straightforward presentation of the basics of the language-with plenty of useful sentences-help you break the language barrier quickly and confidently. How? All the words and phrases in this book are written in Roman script--in plain English--in a form you can use immediately and in the right context. Instantly you'll know the basics of Japanese, from polite pleasantries to the latest technological jargon. Japanese Hiragana for Beginners makes learning hiragana fast and effective by using memorable picture mnemonics, along with clear explanations, examples and lots of fun exercises. Picture mnemonics enhance memory by associating the shape and sound of each hiragana character. The Teacher's Manual is the ideal resource book, full of suggestions, advice, and ideas to complete a well-rounded course.